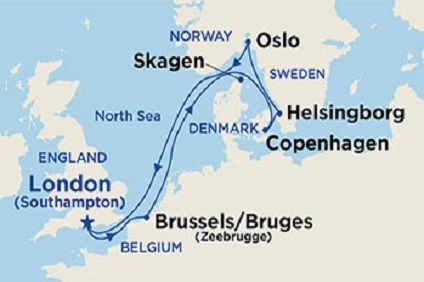 7 Night Cruise sailing from Southampton roundtrip aboard Sapphire Princess. 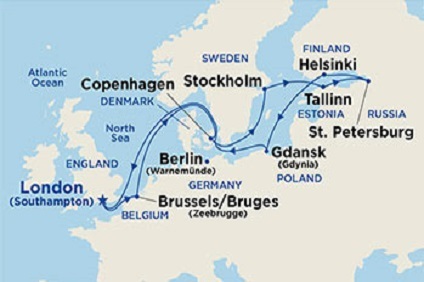 7 Night Cruise sailing from Los Angeles roundtrip aboard Royal Princess. 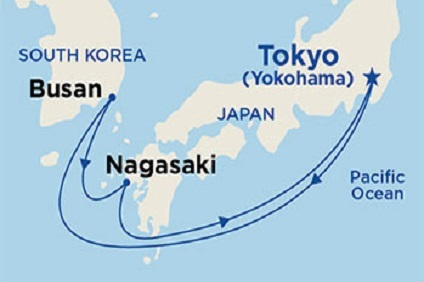 5 Night Cruise sailing roundtrip from Yokohama aboard Diamond Princess. 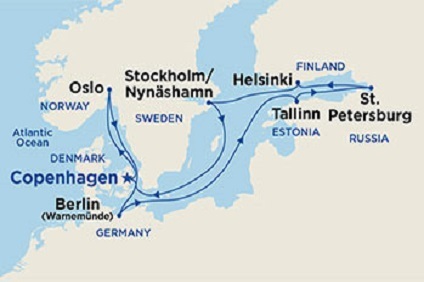 11 Night Scandinavia & Russia cruise departing roundtrip from Copenhagen onboard Regal Princess. 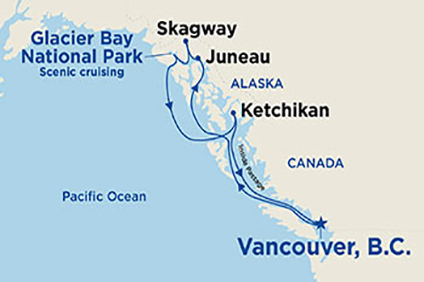 7 Night Cruise sailing roundtrip from Vancouver aboard Island Princess. 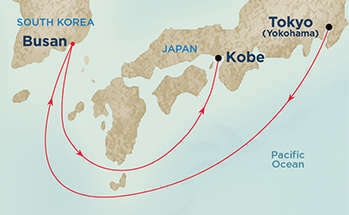 4 Night Cruise sailing from Yokohama to Kobe aboard Diamond Princess. 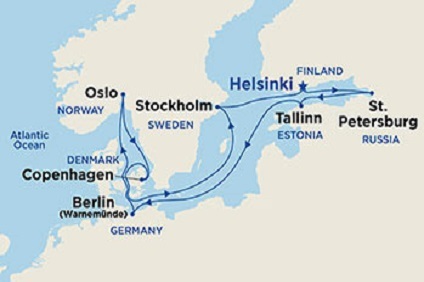 11 Night Scandinavia & Russia cruise departing roundtrip from Helsinki onboard Regal Princess. 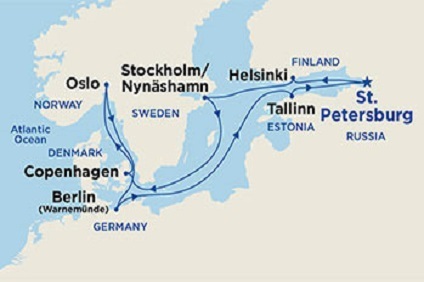 10 Night Scandinavia & Russia cruise departing roundtrip from St Petersburg onboard Regal Princess. 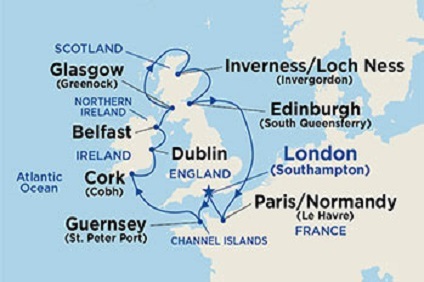 14 Night Cruise sailing roundtrip from Southampton aboard Sapphire Princess. 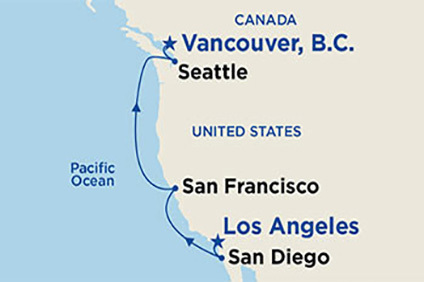 3 Night Cruise sailing from Los Angeles to Vancouver aboard Golden Princess. 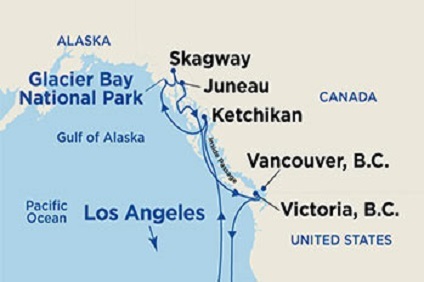 7 Night Cruise sailing from Los Angeles to Vancouver aboard Royal Princess. 3 Night Coastal Cruise sailing from Los Angeles to Vancouver aboard Coral Princess. 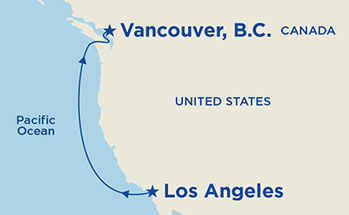 5 Night Cruise sailing from Los Angeles to Vancouver aboard Ruby Princess. NBNB - on Sun and Dawn Princess evening dining is fixed with the choice of early (6pm) or late (8pm) sittings. Guests still have the option to book at other times at the specialty restaurants. Welcome to a new dining experience in cruising. One that gives you the freedom to choose where, when, and with whom you wish to dine. On Princess, you are offered a variety of choices. In fact, on some ships there are up to nine different dining options to choose from. And, more importantly, you can select a seating option that’s based on your schedule. WHICH DINING CHOICE DO YOU PREFER? In the main dining rooms, there are two options for dinner: Traditional Fixed Seating and Anytime DiningSM. If you enjoy the traditional option of having the same table partners and waiters throughout your cruise, select Traditional Fixed Seating. This dining option features award winning Princess cuisine and offers a choice of two seating times, 6:30 p.m. or 8:30 p.m. When you select Anytime Dining, you choose your dining style–whether you prefer to dine alone or with newfound friends–anytime between 5:30 p.m. and 10 p.m. This option features the same award winning cuisine as the Traditional Fixed Seating. Whichever dining option you choose, you’ll enjoy the same delectable menus and follow the same dress code in the dining rooms each night. Traditional Fixed Seating or Anytime Dining? The choice is yours. Simply let your travel agent know your preference when you book your cruise. Enjoy the time-honored custom of afternoon tea with finger sandwiches, pastries, scones, cookies, music and whiteglove service. It’s the perfect interlude between sunning and swimming out on deck and a star-studded evening at sea. Enjoy your choice of a wide selection of premium teas— from Earl Grey to your favorite herbal infusion. And of course there’s coffee if you prefer. The choice is up to you. Princess is happy to meet your request for low-sodium, low-fat, low-sugar, and vegetarian diets. In addition, kosher meals (frozen entrées only) and baby food are available upon advance written request. Any other special diet requests must be authorized in advance by the Princess corporate office. Please ask your travel agent to advise Princess in writing at least four weeks before you sail of any requests for special diets to accommodate medical needs or allergies. For Exotics cruises, please advise in writing of any special dietary requirements at least two months prior. Please note that baby formula is not available onboard. Once onboard, please check with the Maître d’Hotel to confirm your request. Princess has made it easier than ever to know what to pack and what to wear when you’re onboard. There are two designations for dress codes: if dress is Smart Casual, passengers dress as they would for a fine restaurant at home. Appropriate attire includes skirts/dresses, slacks, and sweaters or blouses for ladies and pants and openneck shirts for men. A jacket and tie is optional. In the dining room, items such as cutoff T-shirts, shorts, halter tops, and jeans are not permitted; shoes must be worn at all times. On Formal nights, appropriate attire includes evening gowns and cocktail dresses for ladies and tuxedos, slacks with dinner jackets, or suits for men. 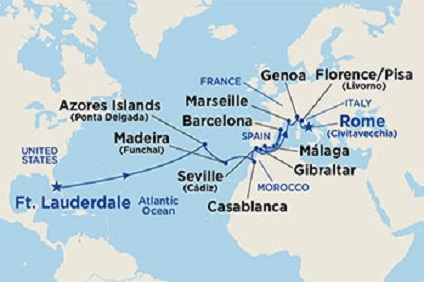 Princess offers formal wear rental on all itineraries; this can arranged prior to your cruise. See the chart below for a general evening attire schedule. Early Bird Coffee 6:00 a.m.
Buffet Breakfast 7:15 a.m. to 10:00 a.m.
Buffet Luncheon 11:30a.m. to 2:00 p.m. Tea 3:30 p.m. to 4:30 p.m.
Dinner 6:15 p.m. 8:15 p.m. Snack Buffet 11:3O p.m. to 12:15p.m. For our Australian & New Zealand passengers, when sailing on cruises departing from Australia aboard Sun Princess, Dawn Princess or Sea Princess, a daily gratuity amount will no longer be added to your on board account. You are welcome to reward our on board crew for exceptional service, however, tipping is not required. 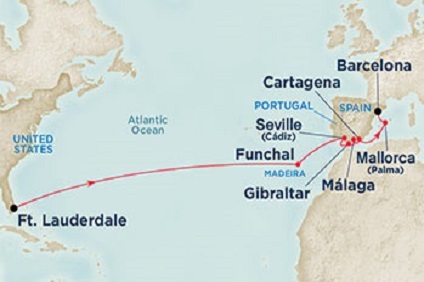 For all other Princess itineraries and passengers, to save you the worry of who to tip and how much, an automatic gratuity of US$15.50 per passenger for Suites, US$ 14.50 for Mini Suites & Club Class and US$13.50 per passenger in all other Staterooms per day (including children) is automatically added to your shipboard account on a daily basis and may be adjusted or removed at your discretion on board. This gratuity will be shared amongst those staff who help provide and support your cruise experience, including all waitstaff, stateroom stewards, buffet stewards, and housekeeping staff across the fleet. On these worldwide itineraries, a 15% gratuity is also added to bar charges and dining room wine accounts. This is shared amongst the beverage staff and their support staff. We know you will find these services onboard exemplary. Casino dealers and Lotus Spa® personnel do not share in these gratuities, as not all passengers utilize these services. Toddlers' are even offered a play area, special outdoor deck area, splash pool, and video games. Teens have their own “Off Limits” special hideouts: Cyberspace, The Fast Lane, and Wired are guaranteed to give them the time of their lives. In addition to all these features, kids on Grand and Golden Princess will also enjoy their own deck space with a whale’s tail splash pool. And teens have a separate jacuzzi and deck area just for them. All Youth and Teen Centers are fully supervised by staff of Youth Activities Coordinators. Children are welcome on all Princess ships, but facilities vary. Pacific, Royal and Tahitian Princess do not have dedicated Youth and Teen Centers. However, when 20 or more children ages 3 to 17 are traveling on Pacific, Royal or Tahitian, they will enjoy a varied schedule of supervised activities organized by a Youth Activities Coordinator. Children under 3 are not permitted in the Youth Center unless accompanied by a parent at all times. Youth Center staff cannot administer medication, bottle feed, change diapers, or provide meal service. * Private babysitting is not available on any Princess ship. Anytime Dining is recommended for families who want to dine together so that children may fully participate in the evening youth activities (starting at 7 p.m). The dining alternatives aboard the ships allow parents the freedom to spend time with their children while they eat an early dinner in the pizzeria, in the 24-hour restaurant offering a special children’s menu, in the stateroom with 24-hour room service, or in one of the many alternative dining locations. After taking their children to the supervised Youth Center, parents can enjoy dining on their own in the elegant dining rooms. Many shore excursions have been selected with family cruisers in mind. Discounted rates for children and “family-friendly” activities are available to make the most of your time in port. On embarkation day, the Princess Kids schedule for the entire cruise will be delivered to your stateroom. Don’t miss the orientation and registration meeting on the first night of your cruise. You and your children can meet the Youth Staff and learn more about the exciting shipboard programs. **US$5.00 per child per hour group babysitting charge from 10:00 p.m.–1:00 a.m. for youth passengers ages 3-12. Caribbean, Coral, Dawn, Diamond, Island, Golden, Grand, Regal, Sapphire, Star and Sun Princess Centers are open while in port 8 a.m.–5 p.m. without charge. A supervised, complimentary lunch service is available with parental consent. Royal, Pacific and Tahitian Princess (Program available when 20 or more children are sailing). 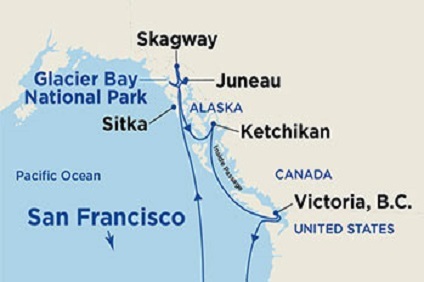 Activities from 9 a.m.– 12 p.m.; 2 p.m.–5 p.m.; 7:00 p.m.–10:00 p.m. while at sea. Activities in port are available from 8 a.m.–5 p.m. A supervised, complimentary lunch service is available with parental consent. As part of the Princess Kids program, Junior cruisers will also be able to participate in two special dinner evenings designed for each age group. Younger passengers will enjoy dinner without parents and in the company of newfound friends and counselors in one of their ship's many eateries. For teens, one of the two evenings will feature a special evening get-together in one of the main dining rooms, complete with group photograph and a night out to enjoy Princess' many evening offerings. ADDITIONAL REMINDERS Children under 3 are not permitted in the Youth Center unless accompanied by a parent at all times. Youth Center staff cannot administer medication, bottle feed, change diapers, or provide meal service. * Private babysitting is not available on any Princess ship.